It’s now more obvious than ever that you can’t get anywhere without networking. And it isn’t just about networking when you need a job or new business, but more about making networking a daily activity. Be it online or one-to-one, you need to be prepared. Here are some valuable tips to get you geared up. This is a rule that applies to all situations – whether you’re headed to the grocery store or an important meeting, you need to have your business cards with you. You never know whom you’ll bump into. If you are self-employed and have the chance to get your own cards made, make sure that your card has a neat design and isn’t cluttered with information. The basics such as name, email address, designation and phone number should be good enough. Use your creative side to make one that stands out without looking like a silly attempt at art. Sure it’s hard to remember every name and face that you come across, but a few tricks could prevent trouble. Jot down names and some physical characteristics that you could use to identify the individuals at a later date. If you forget even before you get a hold of your address book, employ another approach such as linking a famous person with the same name with them. Imagine meeting somebody who could be your ticket to a new job or internship and not recalling his/her name. Ouch! Create accounts on as many social media websites as you can manage to update regularly. If you think you can cut out time for just two, do that. There’s no point having an account but hardly logging on or contributing to the discussion. Post frequently and interact with others in the industry. Some people make the mistake of ignoring junior executives and classmates, as they seem rather unimpressive. Don’t make that mistake. You never know where a person can go and how they can help you. For example, you could be looking for a new job two years later and one of these seemingly useless people could be already working there and would be nice enough to put in a word for you. Don’t start all conversations thinking about what you can get. You need to think about giving as well. Relationships should be mutually beneficial. Plus, giving will get you good karma in the form of referrals. Be confident, helpful and open with your peers, colleagues and even people you’ve just met. You are not a salesman. Of course you’re selling your skills and educational background when you network, but you need to learn how to hold a conversation that has a light, informal tone. The key is to let the other person know that you are willing to give the time to get to know them before talking about what exactly you want. That doesn’t mean that you should skip your pitch; just warm up first. Give the other person a chance to talk. Don’t keep on talking without waiting for answers. Ask questions as well. In fact, have a mental list of questions ready for all times and all kinds of people but don’t jump at them. Demonstrate interest with your facial and body language. The first face-to-face meeting isn’t the end of networking. Keep their cards in a special place. Add them to your LinkedIn contacts and other social media lists. Call or send an email a week later, after you figure out what you can connect about. Staying in touch on a regular basis is important, so don’t let it seem like you only make the effort to communicate when you really need something. Never take anybody for granted. That applies to your career path just as much as to your personal life. Keep in touch with the people who’ve brought you closer to your goals already like high school teachers, college professors, internship supervisors and so on. Let them know that you appreciate what they’ve done for you. You could meet them once in a while and keep them updated on your progress. Introduce them to each other or to others they could form working relationships with. Who knows? Maybe one of these older acquaintances could connect you to somebody helpful in the future. It isn’t difficult to master the art of networking if you keep these tips in mind. You’ll have to network effectively as you continue your career path, so why not start now? Most of you would have dedicated valuable hours to the GMAT on your quest for the perfect score. You’ve probably also rehearsed replies to all kinds of possible interview questions. But have you put enough effort into your resume? You definitely should, because a resume written for an MBA admissions committee isn’t the same thing as one that you send to prospective employers. In other words, a bit of tweaking here and there won’t work. Talking about your professional achievements in terms of words or self-praise is a no-no. Your resume needs to include quantifiable data to set the context of your accomplishments. So be honest and write the figures to show what kind of a difference you made. For example, instead of saying that you were a part of a well-known marketing programme, include the percentage of new customers you helped the organisation acquire. Another example: Led a team of four people to increase downloads of app X, resulting in a 12% increase in downloads that quarter. The Nanyang MBA’s admission guidelines tell you that they don’t expect more than a three-page resume. So do the admissions committee a favour by keeping it concise and professional. Use to-the-point headline-style writing. Do not try to pack in excessive information by using a small font size – size 10 to 12 is the norm. If you find it overflowing, delete the unnecessary points. Remember that a long, cluttered resume can give people the idea that you cannot communicate well. When you are applying to the Nanyang MBA, you are introducing yourself to admissions officials who want to know if you have the leadership ability. Some applicants make the mistake of including information that isn’t required. A photograph, and your height and weight, are not a part of your resume. If you have lots of technical knowledge on a subject, the resume is not the place to write paragraphs on it. Personal interests should be included only if they make you stand out as a candidate. That means that reading science fiction or working out doesn’t make the cut. But more significant events like a published book or a charitable fundraiser where you created a big impact should be present. The education section of your resume should contain your educational history in chronological order. You need to mention the areas of study and any significant achievements such as making it to the Dean’s List or achieving a top rank in class. Make it easy to scan so that the reader can quickly identify the schools and years to arrive at a sense of where your background. Is every point on your resume important? Have you missed out on any position or activity that could showcase a particular skill set that you have? Can anybody reading your resume detect your career path? Does it support your career development goals? And have you started each point with a strong action verb like ‘generated’, ‘maximised’ or ‘spearheaded’? The Nanyang Business School MBA programme is on the lookout for individuals who will be successful as leaders and in highly collaborative work environments. You need to show them that you have the skills that can lead to success. Keep the above pointers in mind and share your MBA relevant skills such as teamwork, collaboration, innovation, etc. with them. 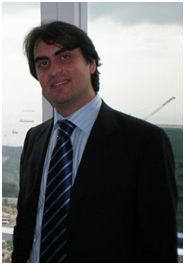 A good manager has to have the key skills required to manage teams in every country where the company operates in. With the globalised industry expanding, to take advantage of cost-effective technical expertise and other benefits that may not be present in the home location, cross cultural team management is more vital than ever before. Whether you’re sitting in a foreign office or holding a meeting via video chat, you need to understand, respect, and integrate each culture and its people into your system. Cultural differences stand out even as you travel from one state of a country to another. Like in India where you have hundreds of languages and enough cuisines to make you wonder if you have entered a new country each time you visit a new state. Difference should never be seen as a detractor because it can actually bring more skills and knowledge to the table. Successful managers do their research and don’t just notice the differences and ignore them. Building trust is impossible without understanding. As you continue to identify differences in the way things are said, done or perceived, find out where the differences are coming from. For instance, is something that they’re doing stemming from a religious belief? 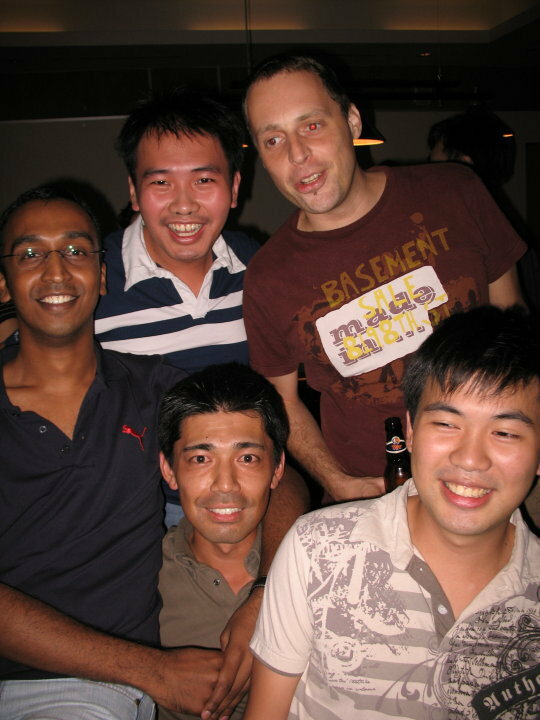 In fact, during the Nanyang MBA programme, you will get a unique opportunity to immerse yourself in another culture. Always keep negatives out of your conversations. That includes the use of negative language, negative tone, and negative body language. So you and other team members who are new to the culture will not frown and raise eyebrows or roll their eyes if you don’t understand or agree with a point. Also avoid saying ‘I disagree’ or ‘You can’t be serious?’ Instead, you can say ‘I do not quite understand what you are saying’ or ‘Can you please elaborate this for us?’ If there is a language barrier and you work heavily with that team, why not attempt to learn the language? Ideas and communication might flow better then. Working with teams from different cultural backgrounds is challenging. But good management can prevent the risks that can occur from a lack of understanding and contrasting values and attitudes since all of these factors affect how work is done. Be flexible. Be ready to learn! How time flies! 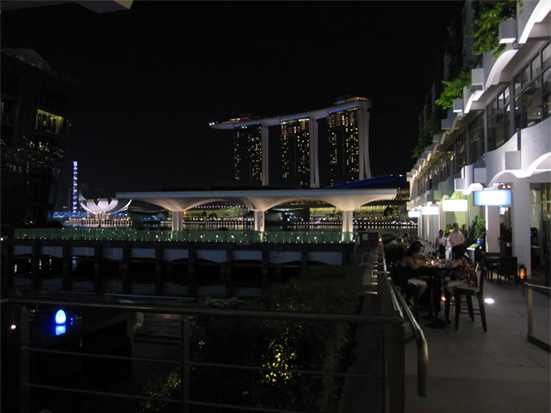 It was almost yesterday that we packed our luggage and came to this energetic and vibrant city-state – Singapore and now, the first trimester of our program has passed so quickly and so is the year 2011. After finishing our last paper for Trimester 1 at the end of November, both the current and graduating cohorts, went out for a chill and fun to celebrate the ‘end’ and the new beginning for some. We were looking forward for a fun-packed night, but it was bittersweet for everyone, as it also marked the night that we were saying goodbye to our senior peers. Talking about farewells! The choice of the place was crucial to fulfill our purpose. 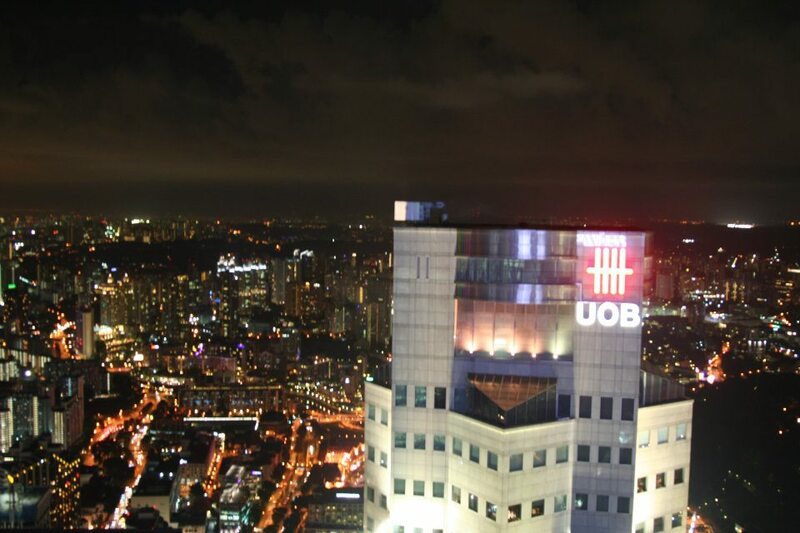 Our VP for Socials decided to hold the event on the rooftop of now the tallest building in Singapore – a fitting venue to celebrate the end of studies, on a ‘high’ note. Hence, we all agreed to set it at One Raffles Place, a new iconic structure in the heart of the central business district and financial center of Singapore – Raffles Place. 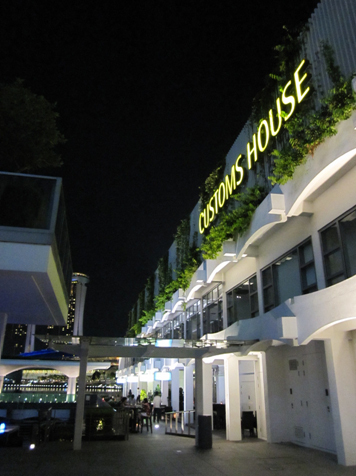 It houses the multi-concept lifestyle venue for the end-of-term party – 1-Altitude and CityGolf. One Raffles Place has a peak height of 282 meters (!) 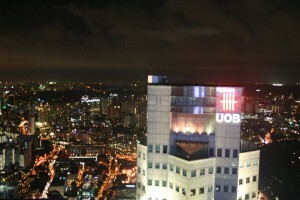 and boasts a spectacular 360-degree view of Singapore skyline. One day old at work and it's party time! Don’t get me wrong about my job. It is serious and challenging, but I have to admit, one of the perks of being in a business school is that you get to attend mixers and networking receptions of students and alumni, not to mention at a spanking place at the heart of the central business district – Nueva Cuba at Customs House. Isn’t it exciting? 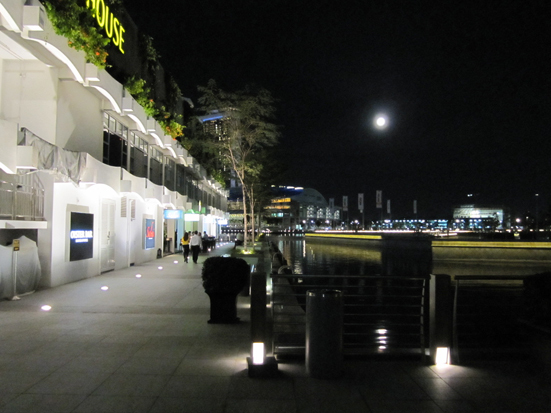 13th April 2011 was my first day at my new (or old) work place – Nanyang Business School. After a hiatus of more than a year, I came back with a fresh mind and all geared up to take on an entirely different challenge of doing marketing and admissions for the MBA programmes. Though one of my team’s main tasks is to bring in new students to the MBA, I felt the need to mingle and interact with current students and alumni – for the reason that it is a good induction to the kind of environment I will be in, sans the school setting. In a ‘let-your-hair-down’ environment, people at the reception would be more relaxed – breaking barriers and forging new friendships that could be a start of a strong network. Just like me, I am sure that the current students are taking advantage of this networking aspect, too. Arriving at the venue slightly late (NTU is approximately an hour away from the hustle and bustle of city-life but you will not notice the distance as the campus is very much accessible by public transportation – Mass Rapid Transit (MRT), buses, or cab; on the brighter side, because of its distance from the city, NTU is very conducive to learning – no distractions! ), I chanced upon a gentleman who was scanning the crowd in front of him, looking lost. He must have noticed that I looked lost, too. A minute of silence between us, the gentleman decided to break the ice – “Are you here for the NBS event?” Right there and then, I finally found my first liaison to the current MBA students – David Tipton. 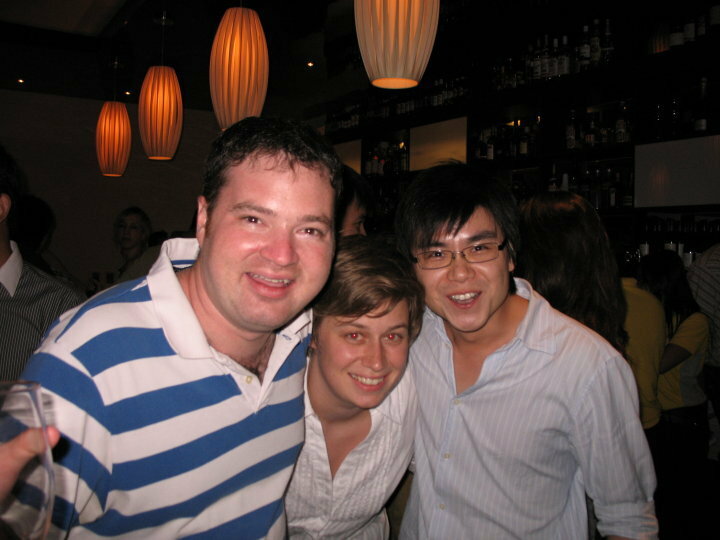 David Tipton, a full-time MBA student graduating this 2011, became an immediate acquaintance. We managed to find the NBS group, with the nametags worn by the attendees giving away the hint. We entertained people by telling our funny story of meeting by chance. As the night progressed, current students, alumni and even a few of the NBS staff present exchanged stories and laughter over a glass of wine, a bottle of beer or even a glass of non-alcoholic drink. I was fortunate to have met alumni who graduated as early as 1996, Ms Gladys Ng, Senior Vice President for Emfore Capital, and Mr Johnnie Gan, class of 2010, who currently holds the post Business and Customer Manager for IBM Singapore. I listened to their animated stories when they were still students, and the challenge of their working environment. Moreover, current students like David Tipton and Mathieu Francois never failed to amuse the group they were in, with their endless anecdotes of student life. Banter and laughter filled the night. Spectacular views outside of the venue that attendees of the alumni gathering took pleasure in. I am glad that I made the effort to go, even on my first day. Not only did I learn more of my role in marketing and admissions within a non-work environment, but I was able to forge friendships among the attendees – students, alumni and even NBS staff. It was a first ‘extended day’ on the job that is definitely not wasted. 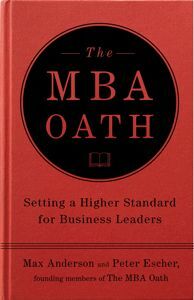 Will You Take The MBA Oath? The MBA Oath. Hot topic and centre of heated debates. What is your take towards it? Do you think that it is necessary for the change this world badly needs or do you think it is just a meaningless piece of paper? After all, myriad oaths are taken every day and broken just as quickly. What is the significance of another oath, presumably taken by business minds who only have the bottom line to take care of? The creation of the MBA oath began in the spring of 2009, when two MBA students at the Harvard Business School, Max Anderson and Peter Escher, wondered what the future of MBAs should be, and in consideration with the recent spate of world events, if a kind of pledge could be put in place as a guiding philosophy or in a heavier sense, a lifetime vow to set higher standards for business leaders in view of profits, people and planet. 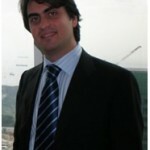 3.to create a public conversation in the press about professionalizing and improving management Like a doctor would take the Hippocratic oath before his practice of medicine, the MBA oath assigns public accountability for the inherent obligations to society of which MBAs as future leaders are bound to. Not everyone would agree, or think an oath like this is necessary to guide his or her actions, but it would certainly allow the MBA to precisely and publicly declare his or her convictions. We take a look at the MBA oath. It’s not the end, just the beginning! It is with a heavy heart that I write this blog entry. Although we keep telling each other “It’s not the end, it’s just the beginning!”, we all know that the bond and camaraderie is something we will miss the most when we part ways. Inevitably, since we have become like a tightly-knit family for the past year. As the months and days crept to the end of Trimester 3, I knew for sure this would be a different kind of goodbye. Most of my cohortmates are flying off for their exchange programs, and most of them are also continuing their stints overseas with summer programs, which span until the end of Trimester 4. Thereafter, they would either return to their home countries or like most, continue to scour the world to build their global careers. We are troopers! T1 done…T2 done…T3 done! Birds of the same MBA feather! Here’s representing America, Europe and Asia. For me, it’s very simple. I came to Asia knowing exactly how I wanted the end of my program would be. I have just secured an internship here in Singapore, with an international consulting firm, and if that turns out well, I will be offered permanent employment with the company. While gaining some work exposure in Asia, I will also attempt to fulfill my dreams of travelling around Asia. I absolutely love its culture, rich history and learn the different ways of life. And who knows? I may even want to settle down here, get married and have kids raised in an exotic Asian environment!